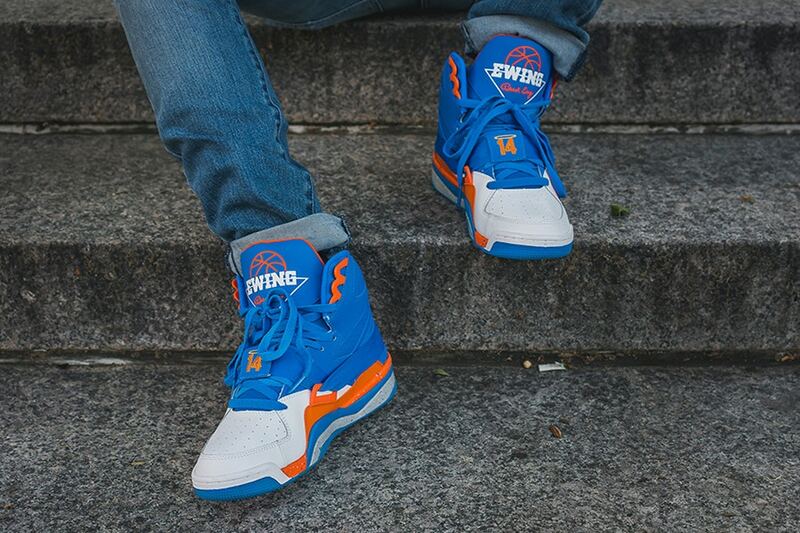 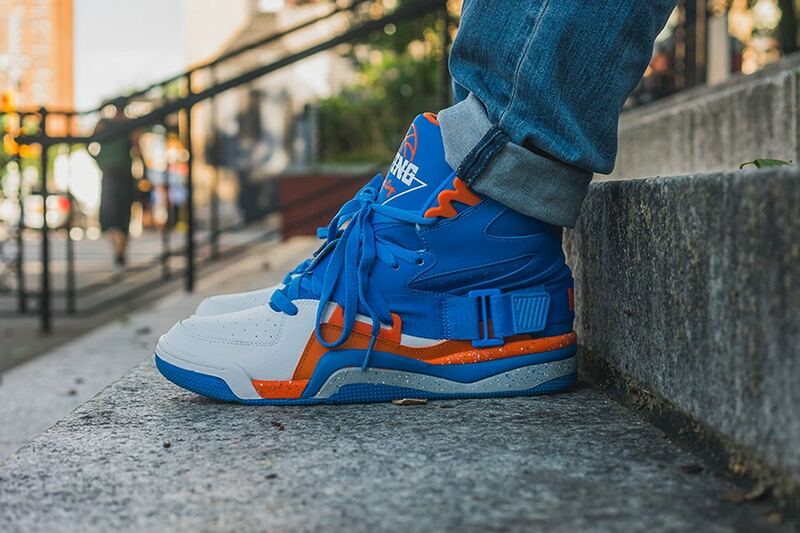 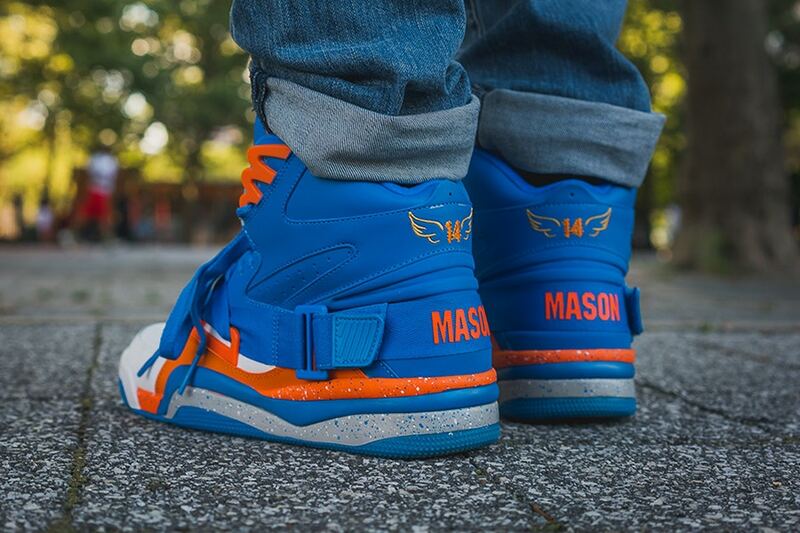 Ewing Athletics’ latest Concept Hi pays tribute to a fellow ’90s Knicks star, Anthony Mason and the company has officially teamed up with Mason’s son, Anthony Mason Jr., to design the shoe. Features include the classic Knicks colorway, an embroidered “14″ to a winged heel and the same usage of Mason’s number underneath a halo, with both details paying respects to the late star and teammate of Patrick Ewing. 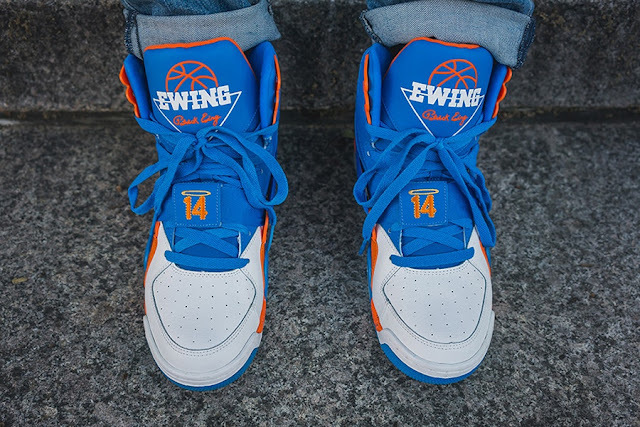 To celebrate the launch of the shoe, Ewing Athletics will be hosting an event on Saturday 29 from 4-6pm at Jimmy Jazz in Mason’s old neighborhood of Jamaica Queens. The shoe should be available in stores and on Ewing Athletics’ web store on the same day.